These days whenever Google or Bing search engines (not neglecting other search engines) are hit up, the searches that top the charts are “How To Make Money Online”, most times with long tail searches like “From The Comfort Of Your Home”. This is not surprising because, there are people who need other streams of income or people who have tried getting jobs but couldn’t find any. Also there are people who do not just subscribe to the idea of working under anyone. Whatever the case, this earning on the internet is a never die issue that will keep topping the search engine charts. It is believed that internet surfers around the world today, will not want to part with their hard earned resources, to someone who just sprung out of nowhere to offer services in exchange for their money. Nonetheless, there are ways to actually beat such thoughts in the minds of internet users. I mean for anyone to have a five star rating, you actually start from scratch; no five star ratings and excellent reviews pop out without a humble beginning. So to say, people actually risk their resources, to enable you gain your five star rating. Though the number one step to earning on the internet is to actually create an online presence or portfolio, there are specific ways to earn on the internet, without having owning a website. Drop shipping seems to be a hot topic these days for anyone who wishes to start an online business. Here you simply list photos of the products you are selling, collect the money from buyers, pay the supplier and the supplier does the rest. You don’t even get to see the products you are selling, you don’t worry about the shipping because, the products get shipped form the supplier to the buyer. All you have to do is find someone who is in need of something, he places his order(s), you send the details to the supplier(s) and the supplier(s) ship(s) the goods to the buyer(s). I recommend having a sample of that product for yourself first before shipping to your clients, this is due to the fact that Kelly can place an order for a black Sony Xperia that is said to be water resistant, now Jumia has the device in stock, you the drop shipper places Kelly’s order without actually having a sample of the device. Kelly gets his order and calls you to tell you that the phone you sold to him heats up when charging. And issues arise. In this case, you could have actually avoided this problem by testing sample of the device from the supplier you work for. If you had noticed this, definitely you wouldn’t have drop shipped that product. Article Alley, Articles Base, Article City are directories were you can upload your articles for sale if you have an expose in writing. Though it is competitive, it is a legal way to get paid even while you sleep. This doesn’t just pay you, it goes a long way to make you a credible person on the internet. Article directories are the first places freelance writers get their first and basic prowess from. These days, with the world going digital, you don’t need to be an expert to be a writer neither do you actually have to break the bank or put yourself in a ‘pay me 15% of every of your book sales for one year’ scenario while publishing your books. You can scout the net for valuable information that will sell, put it together in an electronic book format such as PDFs or EPUBs, and get an attractive e-cover. Upload the books on sites like Amazon Kindle, Payhip, Lulu and Smashwords. Get paid after sign up and successful purchase of your books. If you are good too at writing fictional stories, then this is a means of getting money in exchange for your books. Sort of a resemblance to drop shipping, though with its major differences, this is one constantly increasing strategy most people use to earn pay checks. Not necessarily having to build an e-commerce site, you can visit already existing e-commerce websites, take a look at their existing products and services, know which one you can provide that actually sells and you are on your way to earning a responsible income. No e-commerce site is an island because, most products that customers order from these sites, are products provided by third party persons. These websites do not have all the ideas in the world when it comes to products that sell. Simply mail or call their customer service agents, to verify if you can sell on their platforms. Every day new forums are created, with a secondary aim of bringing people together. If you are good at something or you have a hobby that can fetch you some finances, this is a great tool you should never neglect because, people from different parts of the world; not just from your native country, join forums every second, mostly with problems they face and your providing solutions to those problems, makes life easy for them. You can actually advertise your skills on forums. This is actually one of the best means to create first your online portfolio. The best way to monetize this strategy, is to look for forums that specialize in your niche. Let’s say you are a pro in designing logos, you can google “logo design+forum” without the quotes. Forums are equally created sometimes, to bring together pros in diverse fields, so as to make the sourcing of clients easy for them. This is actually the best place to create your online presence. Social Media is actually a two way thing, this is a platform, were your friends or acquaintances are your foundation clients and the first set of people to actually give you that positive review that will up your game. Let’s say your hobby is making feminine clothes or you are a contractor who gets the measurements, materials as well as wants from your clients, you then meet up an expert tailor who prepares the clothes for you, you go back and hand the finished clothes to your clients, you can take pictures of those clothes, create a Facebook page and upload your work. You get to convince your friends to like your page and the friends of your friends like the same page and that’s how you gain popularity. Not just Facebook, you can advertise on other platforms, simply create pages upload pictures and get viral. If you are very good in writing and you need to exchange your skills for payments, you can actually mail blog owners to write for them. Some blog owners don’t have all the time in the word to update their blogs. It’s pretty much possible to earn from this because bloggers do not have all the ideas to write on, you could spot problems in their posts that need an overhaul; either it’s a poor structure in writing, delay in posting updates on their blogs or a means of gaining more traffic to their sites. But in this case you are a ghost. What do I mean by “You Are a Ghost”? The credits of the write-ups on blogs you write on, go to the owner(s) of the blog(s), even though you get paid in the end. How would you love to work independently and on temporary contracts rather than for a long-term employer?, sell services to different employers without a long-term contract with any of them? Freelance sites like Fiverr, Nabbesh, Freelancer, Craigslist and the rest are created for the aim of individuals to employ the services of experts at an agreed fee. If you are a pro at designing logos, podcasts, article writing and other stuff, you can register on these sites, show case your skills, someone employs your skills and pays you. 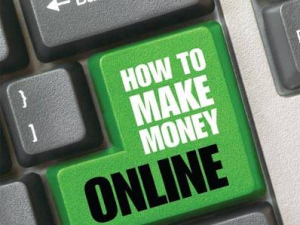 Though this is not a means of hitting the large pay, it is a great way to start, polish your skills and even test drive other skills, so as to know what other things you can do to increase your means of earning online. YouTube isn’t just meant for viewing and downloading music videos or movie trailers. YouTube has made it possible for people to upload videos and monetize it. There are two effective ways to do this. Its either you upload ORIGINAL videos that will go viral and harness views of more than a thousand and above. YouTube usually sends you pay checks for this. Another means is to actually upload videos in specified niches and let ads play before the video does. (Remember the wait after four seconds and click here to close ads you see while trying to check out videos on you tube). Let’s say you want to uploaded a video on how to install WordPress plugins for websites on YouTube, after uploading, you can create affiliate links with hosting companies like godaddy, bluehost and the rest (definitely they should have videos that advertise their services) and embed their videos to yours. Dailymotion is another video streaming website you can earn your pay checks from. You can equally make money by uploading videos on Vimeo and Break to earn advertising revenue. With the high rate of university graduates leaving schools, many of them have to push up their CVs and resumes to establishments and agencies for job vacancies. One of the criteria that disqualifies prospective job seekers is a poorly structured CV. Today, human resource managers do not have all the time in the world to scan through CVs or resumes, in other to sift out credible job seekers that will be interviewed. These HR managers use CV scanning softwares that do the jobs for them. If you are an expert in crafting attractive and properly structured CVs, this is the job for you. You can advertise your skills on forums, social media as well as on other blogs who are in the same line of business. This form of advertising is usually common in newspapers, forums, in most cases, the spaces for placing these ads are either sold, distributed or exchanged. Classified websites are places where you place your free ads. Many classified websites don’t allow free ads and few websites don’t allow posting ads without registration, email confirmation and many others. A way to get paid from this medium, is to actually advertise what you can do properly, remember you don’t own a website, so you need to be as direct as direct and drop a reachable contact for easy access to people, who will want to reach out to you after getting interested in what you have to offer. You can try Ebay classifieds, Oodle and a host of others. Reviews on the other hand, refer to the ratings you give to a product from books, softwares and physical products like cosmetics. It doesn’t just stop at products, you can also review services people render. All you have to do is locate businesses that need reviews, sign up and begin to drop reviews for them. More or less, this is like affiliate marketing because, you will be given special links whereby, after giving positive and convincing reviews, people click your links and purchase that product or employ the advertised service. This is a method most companies employ to get popular, to attract more clients and make huge sales. Are you a tech nerd? Be it on mobile phones, website problem solutions, computer hard ware and software maintenance pro, you can actually create DIY (Do It Yourself) articles on Ehow and Wikihow, for novices to learn from your articles of course, with illustrations. You can actually earn from these websites because, with new tech comes new issues. Uploading fresh and meaningful content on the above sites can earn you a side income. There you have it 12 online businesses you can start without having your own website. What are you waiting for to actually start one of the above businesses?. Is this post missing something? Or do you have an idea to add to the above? You can use the comment section below. I’d love to hear your opinion.